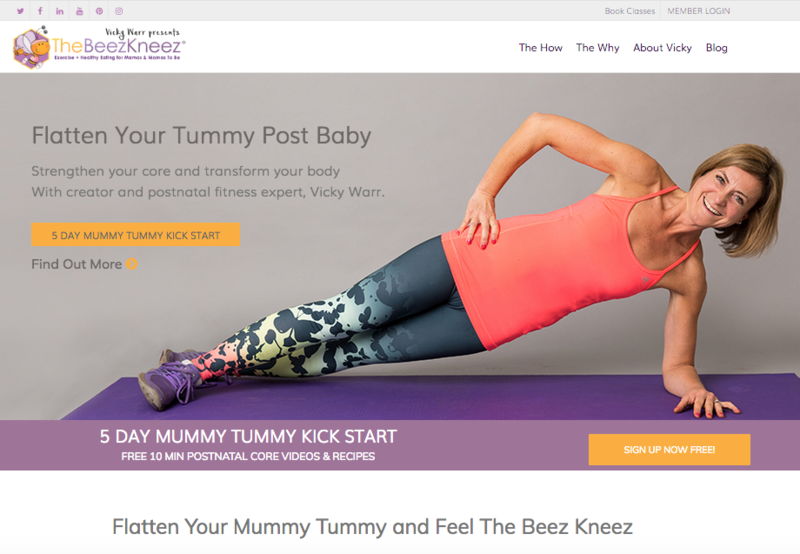 TheBeezKneez is an online fitness, nutrition and mentoring programme for expectant and new mums. The site has two main elements: a sales element to market the site to new customers and then a paid member area allowed different levels of access depending on the membership level of a user. These membership areas include content protected videos and interactive meal plans. Simba worked with TheBezzKneez to redesign all areas of the site. Users are able to sign up and pay for immediate access (through paypal). New subscribers are also linked to email engagement and marketing software. We also maintain the site on a weekly basis keeping architecture and software up to date and protecting against potential security vulnerabilities.